Over the past decade, we have been learning more about the unhealthy effects of processed sugar and the damage it does to our bodies. The hunt for a healthy but satisfying substitute has been a top priority for food manufacturers. 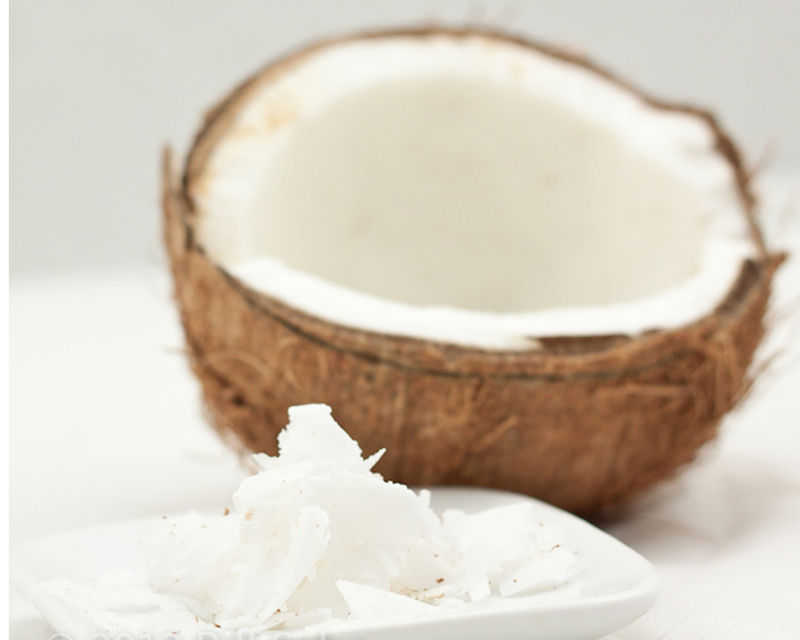 Both Stevia and Coconut Sugar have gotten a lot of buzz recently as healthy alternatives. While they are both lower than sugar on the glycomic index, they are both very different sweeteners that react differently in your body. 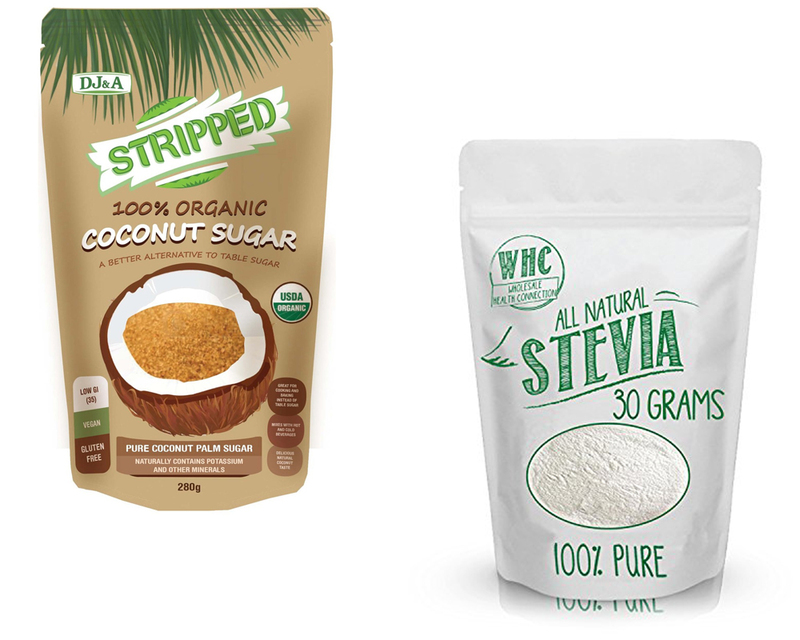 To compare Coconut Sugar vs Stevia, let’s look at each one separately. The glycomic index measures how quickly different foods raise blood sugar levels. Pure glucose is set at 100, so a food with an index of 50 raises blood sugar half as fast as pure glucose. Stevia has a glycomic index of 0, which means it will not raise your blood sugar levels. This makes Stevia an excellent choice for people fighting diabetes. The World Health Organization conducted a study on Stevia and found that 1000 mg per day reduced blood sugar levels in diabetics by 18%. The same study found that consuming 750-1500 mg per day reduced both systolic and diastolic blood pressure. Stevia was also found to inhibit plaque growth and had antibacterial effects. The disadvantages to Stevia are that it may cause dizziness if either your blood pressure or your blood sugar levels get too low. In addition, Stevia may interact with certain prescription medications. Coconut palm sugar (not to be confused with palm sugar) is made from the sap of the coconut plant. Once the sap is harvested and the water removed, what’s left is an all-natural coconut palm sugar. 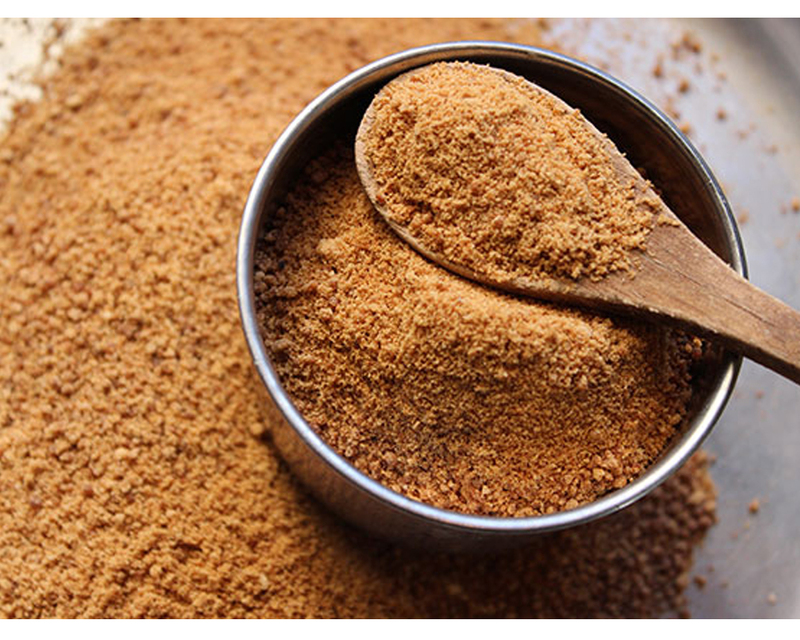 Coconut Sugar contains a fiber (inulin) which slows glucose absorption. This contributes to it’s low glycomic index of 35. Regular processed table sugar has an index of 60. While processed sugar are empty calories, coconut sugar does contain some vitamins, potassium, and iron. However, you would have to eat ridiculous amounts of coconut sugar to get the same nutrition you get out of regular foods. While coconut sugar doesn’t raise insulin levels as quickly as processed sugar, it is still 38-48.5% fructose, which is the same as sugar. Fructose can build up to the point of being toxic to your liver and affects hormones. While Coconut Sugar may be healthier with minor nutrients than regular refined sugar, sugar is still sugar. The manufacturing process is more natural, but “less bad” is still worse than no sugar at all. Stevia does not build up in your body, lowers insulin levels and blood pressure, and aids in weight loss and diabetes control. Stevia is 200-300 times sweeter than sugar, so small amounts can change the taste of food. Stevia is a natural sugar substitute with no harmful fructose. 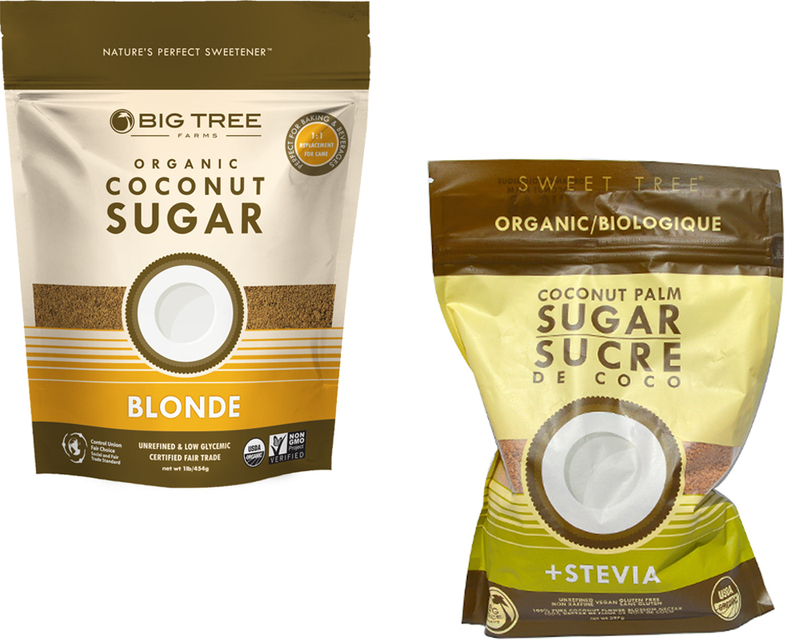 When choosing between Coconut Sugar vs Stevia, Stevia seems to be a better option.